Kelli O'Hara and Ken Watanabe bring The King and I to the West End! 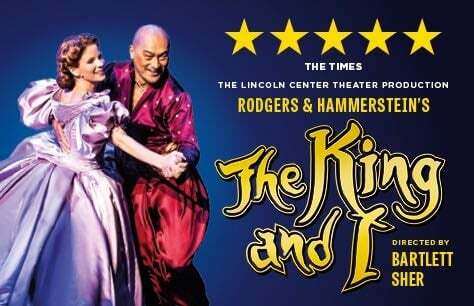 Due to phenomenal demand, the multi-award winning and critically acclaimed Lincoln Center Theater’s production of Rodgers and Hammerstein’s The King And I has extended its engagement to 29 September at London's iconic Palladium. Set in 1860s Bangkok, the musical tells the story of the unconventional and tempestuous relationship that develops between the King of Siam and Anna, a British schoolteacher whom the modernist King, in an imperialistic world, brings to Siam to teach his many wives and children.